Are you as amazed as I am at how popular antlers are?! 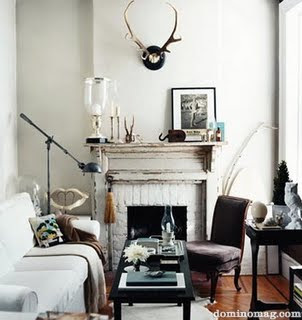 I love them even more now…there are so many stylish ways to decorate with them other than the standard stuffed deer head! I LOVE this!!! I am so going to bedazzle this year’s trophy!! Above and below are more FABULOUS ideas for sheds! We are actually working on the idea below on our bookcases….I just can’t think of a way to light up behind them…battery powered lights maybe? i know this is spam…but nice! The bedazzled one is my favorite!! Does Troy you’re going to do this to the trophy he catches this year? 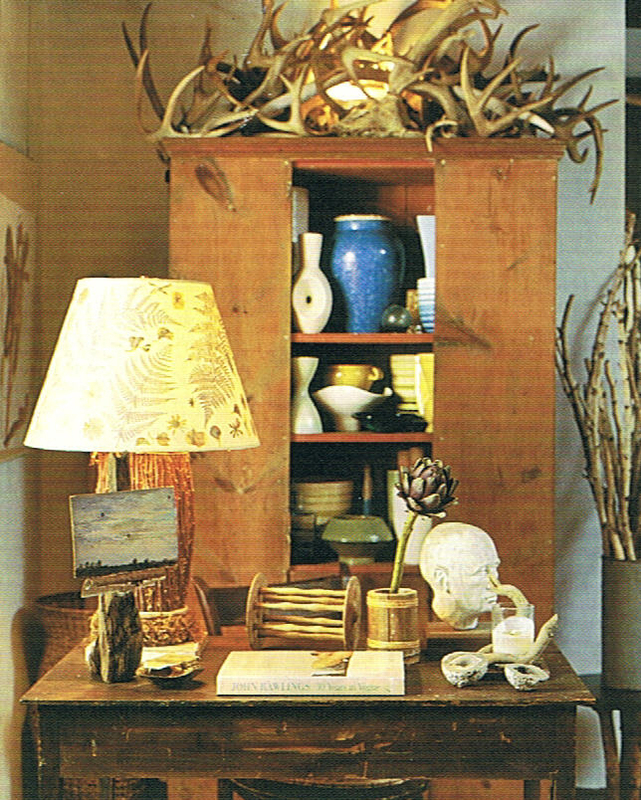 Also – what about an Ikea light/lamp for behind the bookshelf antlers? Have fun!! Uh, no…he’s not aware of my plans….we’ll cross that bridge when we get there! ;) Ikea light…that’s a good idea, thanks! I am still not crazy about those antlers, but do want those barn doors that are in the first picture. Love those. And doesn’t the rug look fantastic with it?! Next time I am in Mexico…gotta get me one of those! I have seen doors like those at http://www.woodstarproducts.com. Don’t know what the cost is but, looks like they could be make to look just like these. Beautiful doors!! So glad you are getting great ideas for your homes!! More coming this week, thanks for reading! Great ideas! We have a pile of them at our house also. Not sure what to do with some of them, thanks for the ideas! I am loving your post on Antlers. I have been looking for a way to incorporate in to my home decor. I think I have enough kicking around to do a few rooms. Thanks for all ideas.